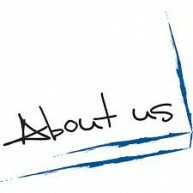 Here is some information about our company. Ridgehead was founded out of frustration and curiosity. After several years of working in the software development industry, we were not satisfied with our professional lives. There were too many sleepless nights, too many projects in crisis, too many poor budgeting decisions, too many birthdays and anniversaries celebrated in front of the computer. We grew tired of all of these problems, fighting with bureaucrats who did not understand the true nature of the problems and opportunities that are part of some standard software development shops. We knew that there had to be a better way to develop software. So we looked for a company that already implemented these ideals, but this kind of company did not exist. We realized that we needed to start our own company to achieve the best in software development: quality, human resources, technology, and customer satisfaction. And thus, Ridgehead Software was born in 2007. With years of experience, we have learned something more: the human element is fundamental to software development. We’ve learned that the customer must be involved at all steps of the process. It’s not enough for developers to use the best technologies to develop software if no one buys or uses it. We hired the best people we could find, both on-shore and off-shore, and created teams of dedicated development professionals who love to develop software. We setup U.S. based project managers for all projects, and thus provide competitive prices for our customers with blended teams of developers. Click here to download the Ridgehead Software PowerPoint (PPT) - also available in Adobe PDF format.